In the last decade, the number and variety of secondary tasks in modern vehicles has grown exponentially. To address this variety, drivers can choose between alternative input modalities to complete each task in the most adequate way. However, the process of switching between different modalities might cause increased cognitive effort and finally result in a loss of efficiency. Therefore, the effects of switching between input modalities have to be examined in detail. 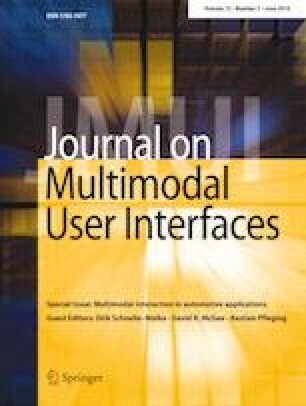 We present a user study with 18 participants that investigates these effects when switching between touch and speech input on task efficiency and driver distraction in a dual-task setup. Our results show that the sequential combination of adequate modalities for subtasks did not affect task completion times and thus reduced the duration of the entire interaction. We argue to promote modality switches and discuss the implications on application areas beyond the automotive context.